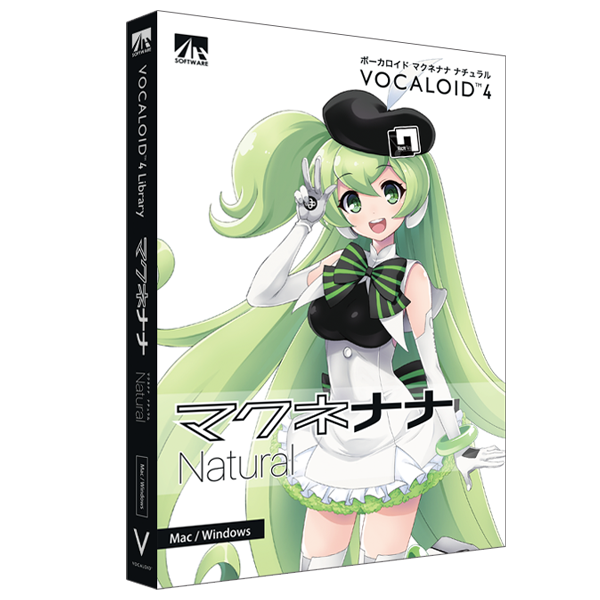 This Japanese library has made a comeback as "VOCALOID4 Macne Nana Natural" with complete remodeling of the previous version, "VOCALOID3 Macne Nana". If you have the previous version, you can combine it with the new version to give variety to her voice. huge passion for Macintosh products. Nana's voice is featured with a clear, cheerful and cute tone. This product includes extra contents including other software application in the data. For details, please go to the official product webpage. Copyright (C) 2005-2016 AHS Co. Ltd.